Located on the shores of Lake Hamilton in Hot Springs, Pine Hill is an estate of three beautiful homes and landscaped grounds – perfect for hosting your most memorable moments in a comfortable and elegant setting. 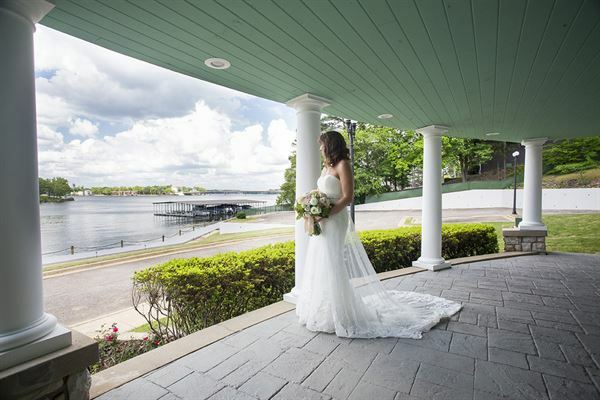 Located on the shores of Lake Hamilton in Hot Springs, Arkansas, Pine Hill is a beautiful place to celebrate life’s most memorable moments. The grand hall in the Manor features a vaulted wood beam ceiling with chandeliers, custom painted wood flooring, and a welcoming stone fireplace. Adjacent to the grand hall is an area that can be configured for dining, receptions, entertainment, wedding ceremonies, or other events. With beautiful views of Lake Hamilton and access to the upper porches, people can easily move throughout all the entertaining areas of the Manor.